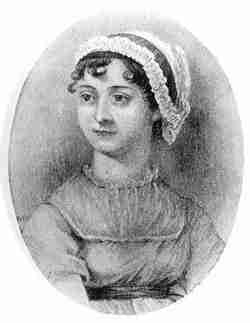 The English writer Jane Austen is among the world's most famous authors. She created such classics as Pride & Prejudice, Emma, Mansfield Park, and Sense and Sensibility. Jane Austen was born on 16 December 1775. Her father was the Vicar of Steventon and Jane was the seventh of eight children. After Jane wrote Pride & Prejudice, her father offered the book to a publisher in 1797 who turned it down without reading it. Jane moved with her parents and Cassandra to Bath in 1801. Four years later, her father died. By 1807, she moved to Bargate, Southampton. In 1809, Mrs Austen, Cassandra, Jane and Martha Lloyd moved to Chawton, near Alton. Here they lived in the former bailiff' house on the Chawton estate that was left to Jane's brother Edward. It was Jane's final home, where she lived with her mother and sister Cassandra until 1817. At Chawton Jane led a quiet life and focused on novel writing. Jane revised both Sense and Sensibility that was published in 1811, as well as Pride and Prejudice, which was published in 1813. Pride and Prejudice was an instant success. All Jane's novels that appeared during her lifetime were published anonymously, merely bearing the legend "By a Lady". Mansfield Park was published in 1814 and Emma in 1815. Persuasion was published until 1818, after her death. In early 1817 Jane began to write Sanditon, but she became ill and the book was never completed. She died on 18 July at the age of 41. It may be possible to do without dancing entirely. Instances have been known of young people passing many, many months successively without being at any ball of any description, and no material injury accrue either to body or mind; but when a beginning is made--when the felicities of rapid motion have once been, though slightly, felt--it must be a very heavy set that does not ask for more. It was, perhaps, one of those cases in which advice is good or bad only as the event decides. Nobody minds having what is too good for them. The story of a matchmaker who finds love for herself in the most unexpected place. The story of Lady Susan, a recent widow, who is looking to marry well again, but is forcing her daughter to marry someone against her will. The tale of a young woman betrayed through her seemingly idealistic marriage. Fanny Price lives in the home of her wealthy Uncle's and falls in love with her cousin, Edward. Catherine Morland moves to Northanger Abbey to get away from those who are seeking a fortune she does not actually have. Anne Elliot was engaged to a poor naval officer, Frederick Wentworth, but is persuaded by Lady Russell not to marry him. Years later, when they meet again, Wentworth is rich, but is he still in love with Anne? Epic tale of the Bennett sisters: their loves, their family life, their social standing, and their near-tragedy when one sister, Lydia, runs off with Mr. Wickham. Includes the classic character, Mr. Darcy, who helps save the Bennett family from ruin because of his love for Elizabeth Bennett. The lives of Marianne, a romantic, and Elinor, a pragmatist, Dashwood, and their search for happiness and love.